A selection of 213 BAHCO and DMC tools, ideal for Avionic work. 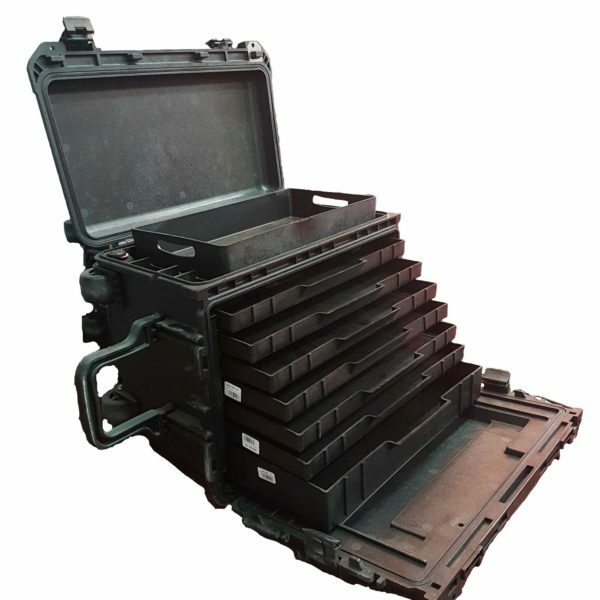 Supplied in a 7 drawer case with top lid. 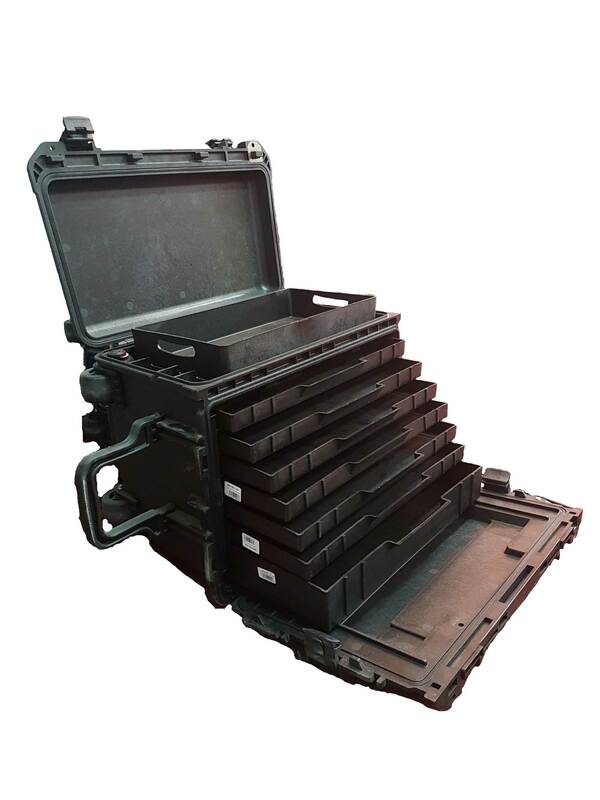 This case is wheeled and fitted with handles to make transporting it easier. This kit is available in other styles. The RBI9600T, the original Avionics kit, in a different style case. Or the RBI9600ST, this kit includes a spare foam for you to expand your toolkit should you wish.